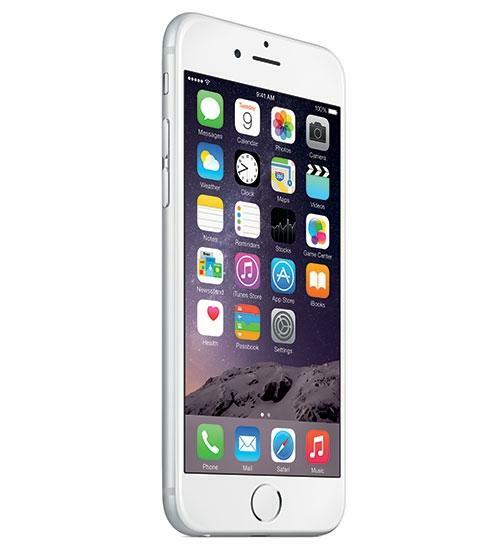 The Apple iPhone 6 is the newest upgrade to the Apple iPhone line of devices. The Apple iPhone 6 features an 8-megapixel camera with digital and optical image stabilization and 1080p HD video capture, a 4.7" high-definition screen with a resolution of 1334 by 750 pixels, iOS 8, and a thickness of just 6.9 millimeters. In terms of processing power, the iPhone 6 boasts a 64-bit A8 processor that features a 20% increase in speed over the A7 processor found in the iPhone 5s. The iPhone 6 was designed with fitness in mind, and features an M8 Motion coprocessor that offers sensors that fitness apps use to deliver high-quality health information. The sensors determine the motion of the user: whether they are running or walking, cycling, or climbing stairs. The sensors can also calculate speed and sense elevation changes. The iPhone 6 also features Wi-Fi calling, and integrates with the Apple Watch. The front-facing camera can take selfies in rapid fire. The iPhone 6 also offers NFC for mobile payments. The iPhone 6 comes in Space Grey, Silver, and Gold colors. Cam goes over the highlights of last week's Official Smartphone Ranking votes. The iPhone 6 review has arrived. Is the iPhone 6 the best iPhone ever made? Beau HD compares the benchmark scores from the iPhone 6 with the LG G3. If you already own a iPhone 5s, chances are you are tied down by a contract. Beau HD compares two of the best devices for iOS and Android -- the Apple iPhone 6 and OnePlus One. 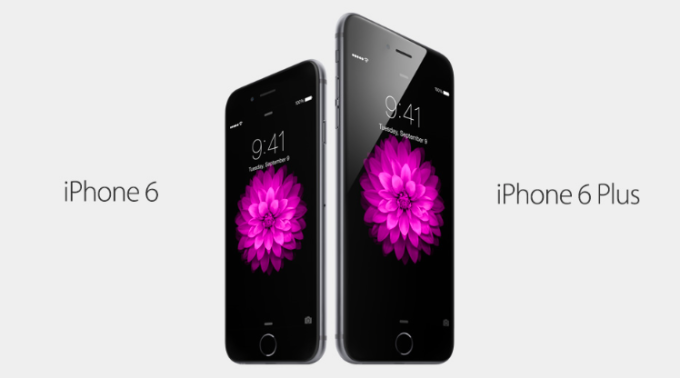 Cam welcomes the iPhone 6 and 6 Plus to the Official Smartphone Ranking charts. iPhone 6 and 6 Plus Review are in the works! Beau HD runs several benchmark applications to test the speed of the iPhone 6. Beau HD unboxes the all-new gold iPhone 6 and shares with us his hands-on first impressions of the design of the device. The iPhone 6 is here! So with big fanfare the Apple iPhone 6 has been released, and immediately critics are noting its still pricey and not everything they wanted. Of course, a quick snap is that they should then go work for Apple and try their hand at being on the design team and marketing group, but that ignores just how much as changed with this new product offering from the tech leader in personal connection. No surprise, the iPhone has been resting on its laurels for a bit too long. When the iPhone 4 came out, it was a market splash that everyone ran to quickly. Then came the 4S with a phone that spoke back to you (no pun intended), and the unit became even more popular. It defined the standard that consumers expected from a smartphone that was put together correctly. By the time the iPhone 5 rolled out, it was simply a smartphone refined to remove some of the irritating bugs still present in the 4 models and making the screen a little bit bigger. Overall though, the unit was pretty much the same phone in hardware function aside from a slightly longer-lasting battery. In the meantime, competitors utilizing the Google Android software got very busy coming up with their competition to Apple. Most couldn't compare, but a few have become big standouts that have challenged the old iPhone models, both in capabilities as well as battery power and screen quality. Eventually, units from HTC, Sony, Samsung and other players starting evolving with quick releases and faster improvements, and now there are some alternatives on the market that beat the iPhone 5 hands down in every category of use and function. Ergo the demand for Apple's response is timely. The iPhone 6 represents a complete redesign of the iPhone concept and product. It does not piggy-back on the previous model with cosmetic changes. Instead, it's a new phone model entirely, and the first phone model from Apple that is a post-Jobs design. This is Tim Cook's phone entirely as the current head of Apple. First, the phone has more crunch and burning power with a better processor built in. Second, the camera has more capacity and sharper focusing capability. Third, (and probably most important for mobile users of Apple phones), the batter is beefier and strong enough to shut down most complaints about a phone that won't last all day long. Ironically, the beefy battery is one of the drivers that has made the phone's screen bigger. Bigger batteries mean a bigger case, and that has to be covered up somehow, reversing the trend to go smaller and smaller with gadgets. Seniors and those with burned out eyes will rejoice, finally being able to see what's on their phone better. The physical look of the iPhone 6 will be the most immediate and apparent change. This trend was coming for a while as Apple revamped the look of its laptops with the Apple Air and similar. It should be no big shocker that the look chosen is along the lines of a pseudo metallic sleek case that feels slightly substantial and ceramic instead of cheap plastic found in competitor phones. Just holding the unit makes a customer feel like he's operating a Mercedes of phones instead of a tinny economy Chevy car. That feeling then usually translates into consumer want because it is seen as quality over second-hand plastic. The second big change in physical shape will be the rounded edges. The iPhone was distinct in have very angular edges from the flat surface to the side, being framed in a metallic band around the edge that was only rounded on the corners. The new phone is a smooth transition from face to edge, making for a thinner and flatter body overall but not losing substance. Clearly the physical artists at Apple were very busy for months figuring the right mix of shape, material and feel with the iPhone 6. Going over the body, one will then come to the screen and note the third level of changes. The screen is noticeably bigger again versus the iPhone 5 and definitely a big jump from the iPhone 4 models. However, while more surface may make one wonder if its more prone to breaking, Apple was busy choosing a glass surface that would be far more resistant to bumping, scratching and the occasional fall. One of the old problems with the earlier iPhone was that when the phone dropped on a hard surface, the glass on the back and front would shatter in a web-like fashion, making the damaged phone useless in practice. Granted, users are still not going to be blessed with a jumbo 5-inch plus screen that gets loaded onto a Samsung unit. You might as well buy a mini-tablet for that (Apple has one, by the way). However, the 4.7 inch screen provided with the iPhone 6 is substantial enough that users will be a bit more comfortable with the display, easier to tap out words and letters, and easier to read from. The iPhone 6 will not score the top award for the greatest resolution available in the market, but the 1334 by 750 screen is hardly going to be a downfall for most users. With the Retina HD technology built in, it's only users who don't clean their phone who are going to have problems (and that's a personal issue, thank you). One can pixel count all day long, for the large majority if the image is crystal clear, we're good to go. Add in the boosted color count that comes with the iPhone 6 versus previous models, and now we're in the fast lane. As noted earlier, the processor for the iPhone 6 has been swapped out for a better block. With a new A8 unit users are expected to realize far more number-crunchy capability with the new phone than before (but who really works on a 3-D math model spreadsheet on their smartphone?). Gamers and those wanting to run heavy-processing apps will likely benefit the most from the change, seeing less stuttering and hang-ups by the phone causing an app to restart. That said, the new engine is still running on a 64-bit architecture like the previous models. A more important boost with the new chip is the aspect of power consumption. The A8 processor uses half or 50 percent less power than in the previous phones. That makes for a unit that lasts far longer, even under heavy use than in the iPhone 4 and 5. This was a big criticism in the past, with many users finding they had to power up their phones again regularly but the commute hour going home. The increased speed and data crunching makes the phone more responsive as well instead of the usual delays it had switching from one app to the other. More power, more RAM, and less consumption makes for a powerful recipe in terms of performance from the Apple phone, one that is likely to draw people back to the brand versus the long-lasting competitors outside the iPhone arena. Touted as a new feature with the iPhone 6 release, Apple is also pushing Apple Pay, its new party to party payment system to compete against the market leader, PayPal. This is a direct market entry by the company into making the iPhone a key tool in eCommerce versus just communications, as well as integrating phone function with eCommerce and injecting Apple into two markets simultaneously. The concept is not a foreign one; phone providers have been testing and develop phone-based currency exchange in Africa for years. Folks there can't trust, rely on, or reach banks for normal money exchange, so the phone has become the electronic wallet for many to pay their bills, purchase, and more. Now that the technology is perfecting, the big techs giants are bringing the process to the U.S. for widespread release and direct competition to PayPal. No surprise, with the release of a new phone Apple is also pushing out a new operating system package. The iPhone 6's OS is a medium improvement on the last version, fixing a number of ticky-tacky issues and small bugs and added some additional conveniences. For example, the pull down quick-info screen will have far more detail in it for a snap reading of what's going on in different apps and news. The larger screen makes this feature more user friendly and informative. The new OS is also designed to work better with external keyboards as well as syncing with Apple laptops running Mac OS, exhibiting that Apple is responding to queries and requests for additional power use capabilities instead of just being a mobile phone. No one is going to suddenly find an SLR attachment to the iPhone 6 anytime soon. The built-in camera is still a basic 8 megapixel unit integrated with the back of the phone case. The lens does bump out of the phone's surface a bit more, so it's not a flat skin like the previous models. That might irritate perfectionists who notice their phone does lay quite flat on the table anymore. The trade-off, however, is a camera feature that improved image stabilization and sharper pictures that display beautifully on the HD Retina screen. The built in software improvements have also improved video-recording, smoothing out the video feed instead of a jerky, blurry amateur look. Add in more editing tools and features, and customers will enjoy the ability to make better home movies than in previous iPhones. Oh, and there's a slow-motion feature added now. Now you too can reminisce and be like the $6 Million Dollar Man (1970s TV show) if you can find the sound effects somewhere on the Internet (with inflation he's probably worth $2 billion now). 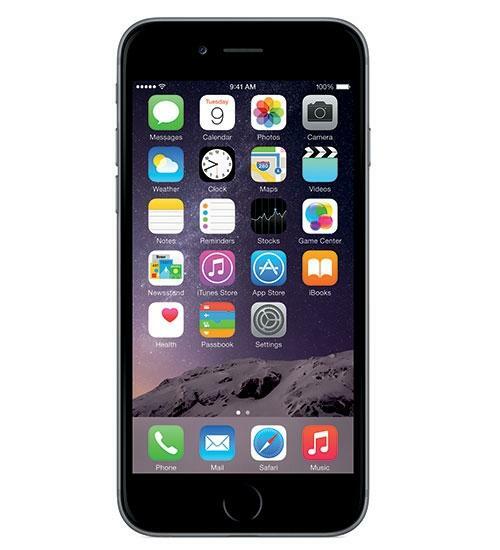 The iPhone 6 is a great boost and revamp of the iPhone system and product. It's really going to make consumers happy, especially those who jump from the iPhone 4 models they got for a $1 with the bargain phone company offers going out like crazy last year and 2-year signups. The new phone is not going to address every specific detail critics wanted, but the product does ameliorate complaints about speed and battery use, and it consolidates a lot of changes the iPhone has needed to stay relevant in today's mobile market.